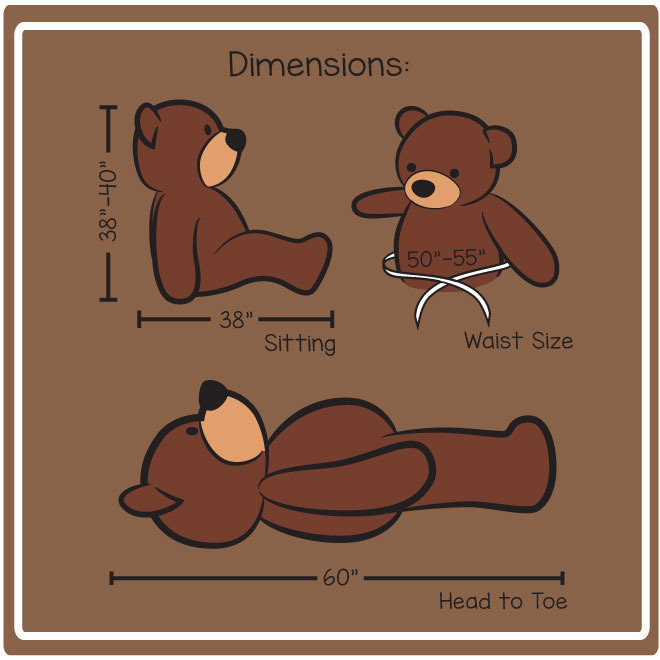 When you want an impressive Valentine’s Day gift, we point to our life size 5ft (60in) teddy bears! They are huge and huggable, with the softest most snuggly fur in the world. These bears are from our Cuddles Family, with warm brown eyes, soft black noses and adorable faces. You’ll pick your favorite fur color, and your bear will come wearing our romantic red heart ‘Be mine’ shirt, perfect for the person you want Cupid to hit with love’s arrow. The shirt is specially designed for our 5ft (60in) teddy bears, is washable and removable, and is white featuring a big red heart design with the text “Be mine” printed on it. *Note: This shirt does not come with any additional personalization.